We all know how much risk comes with working on a large construction process. Every step of the way, something could go wrong causing the whole project to fail. Part of working on large construction projects, like warehouses, residential housing developments, and office buildings, means understanding how to plan and fund a project while mitigating risk. Chose Granite Companies to help you every step of the way in your production process with The Granite Companies’s Risk Mitigation System™. Think about these risks to your construction project and how you need to use mitigation strategies in order to have a successful project completion. Construction projects tend to be high budget projects. Having a project lose funding halfway through isn’t something you want to happen. Losing funding results in not only an uncompleted project, but also lost money from the portion that was completed. Granite Companies acts as a funds manager. We specialize in funds control and utilize funds administration management in order to help reduce, or even eliminate, the risk associated with budget shortfalls. The contractor you choose for your construction project can make or break the finished product. Working with an experienced contractor can have some major benefits. Working with an inexperienced contract can also bring fresh ideas to the table and may be the best choice. However, working with an inexperienced contractor opens the project up to financial risk. Granite Companies contractor acceptance and national tracking services as well as full reporting services in order to support the project to the best of our ability, mitigating the risk that can happen with a newer contractor. Inspection agencies have different training standards and expectations for their inspectors all over the United States. Knowing what quality of inspection you will get and type of service can be extremely hit or miss. 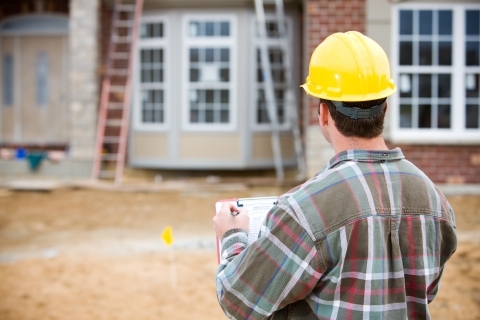 Granite Companies runs a subsidy, Granite Construction Inspections, in order to better serve our clients and provide standardized inspections for residential and commercial construction projects. Every project has a way of feeling like it’s on a tight schedule, no matter how much time you actually have to work with. Managing project timelines can be very complicated and open up your high-ticket price project up to more risk, higher costs, and longer downtime. Granite Companies provides risk mitigation solutions by reviewing your project details and providing recommendations to help keep your project on track. Having to acquire specific approvals and follow procedures is simply part of the construction world. However, having to go through excessive and repetitive approvals can slow down any project. So much that, excessive approval procedures are considered to be a top cause for risk during construction projects. Our project review and recommendation process helps to verify approvals and permits needed to conduct construction before the project even gets underway. We are also experts in national statutory compliance, helping you make sure that your project follows all the local and national laws. Granite Companies specializes in mitigation strategies for your construction project, no matter if it’s residential or commercial. Contact us today about your project.